All around me are the Batman’s cases: Joker chases, makeup faces. 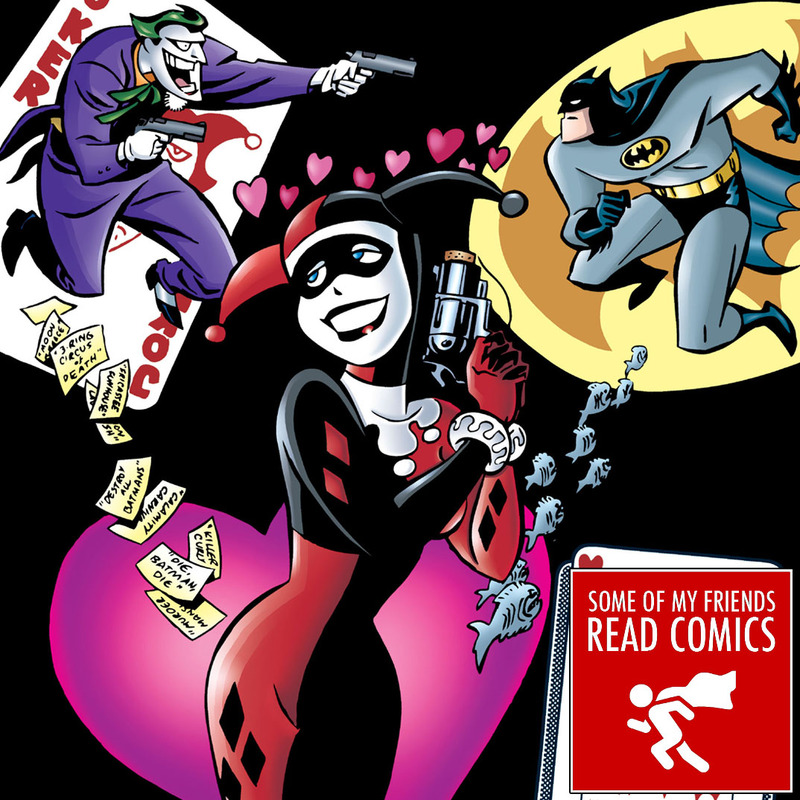 Harley Quinn just wants the Joker’s embraces. Plays her Aces, schemes take places. And this comic’s kinda funny, this comic’s kinda sad. The panels where she’s dreaming are the best I’ve ever had. 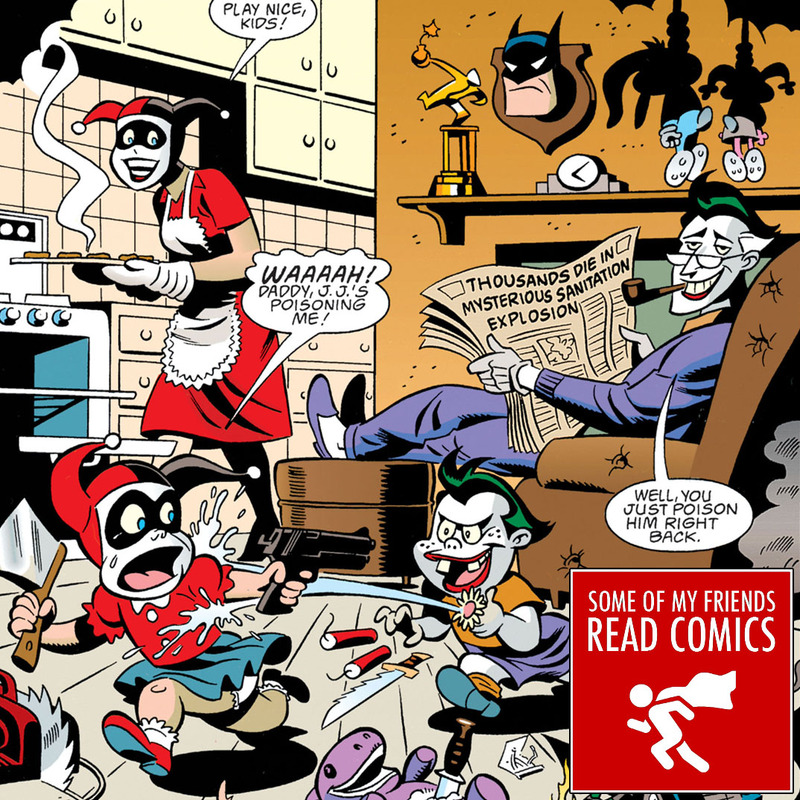 We liked Paul Dini’s writing. And Bruce Timm’s art was great. Like the animated series, it’s a very very… Mad Love.